If you are facing some problem with Google Chrome browser like, when you try to search something in chrome it will redirect to other page like dictionary.html or blank.html instead of displaying result page, then here is fix for it. Seems like lot of users facing this issue with their chrome browser. I still remember, once when I was using chrome browser, it redirects me to blank.html. I didn’t take it so seriously and started using firefox browser for time being. After sometime when I tried I didn’t find any such problem. But when I was searching today on chrome browser, once again it redirects me to the dictionary.html. But this time I didn’t left simply like that. I did some research and found solution to fix chrome redirection problem to dictionary.html. I think the solution will helps those users who are facing chrome redirection to blank.html or any other similar redirection in chrome browser. 3. Now you are in the problem area where we need to fix chrome redirection problem. In this place you can see lot of search engines but only one search engine will comes with (Default) word. 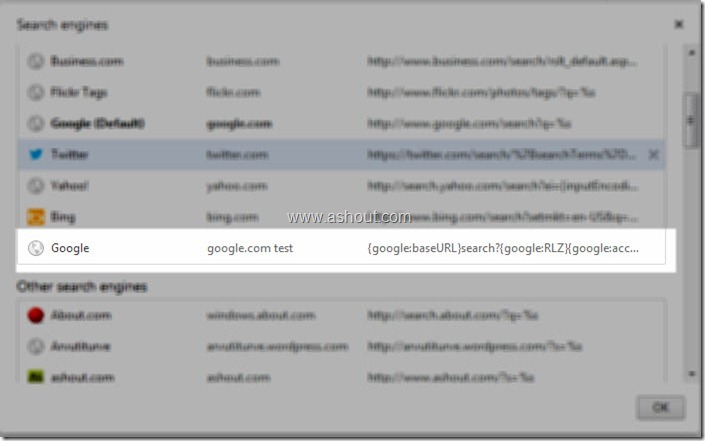 Tip: You cannot edit the value of the URL or any other value until the search engine is Default. To edit the value make any other search engine as default and edit the value. After editing change the default search engine back. 6. 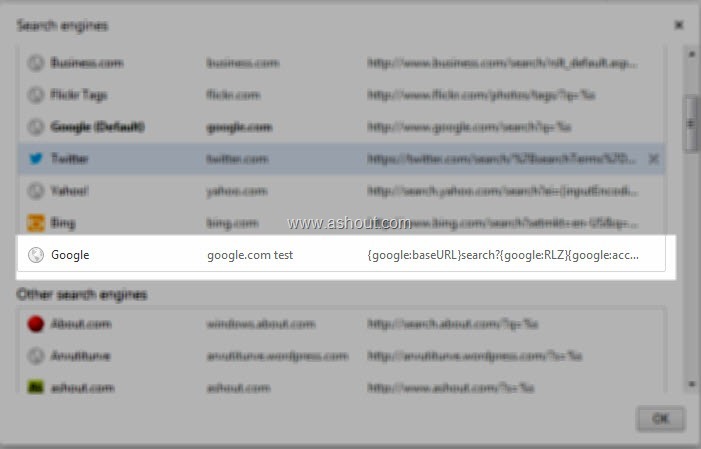 Now click OK and start searching…Now you can use chrome without any redirection problem.